The second day of Best Picture nominees did not fly by as quickly as the first day’s movies did. In large part this was because of the somber and self important tones of the two movies that stared the day. 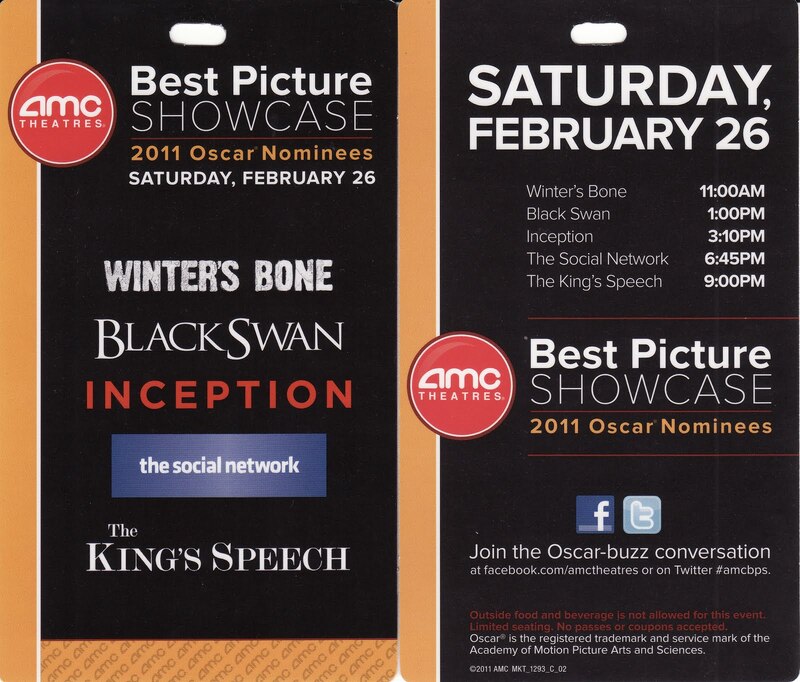 These two films were the last two that I had not seen at all from this years list of nominees. 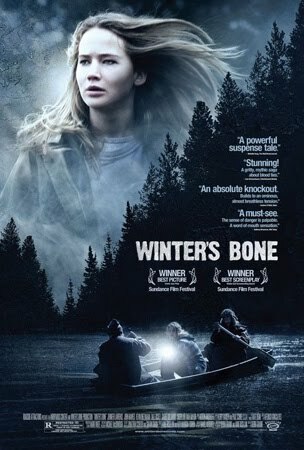 The subject matter may have been what put me off from rushing out to see them in theaters, although Winter’s Bone was a movie I think I would have gone to if it had played for more than a few days in more than a couple of theaters. Winter’s Bone was clearly a fine film. There is a good story arc and it is intricately plotted. The actors are all very good. The lead is an actress named Jennifer Lawrence, and she seems quite young. This story reminded all of us of the TV show “Justified” without the good guy gun-play. There is a sad element to the world that all these people belong to. There is basically no hope except in the will power of our heroine, she is all that is holding her family together in the midst of a family blood feud involving meth. The people she encounters all seem so real and unpleasant that it is difficult to think they are all actors. None of them seem very familiar except the guy playing the sheriff, who we recognized from several Television programs. The authenticity is one of the things that made this movie work so well. In addition to the Best Picture Nomination, the lead actress and the guy playing her dangerous uncle are both deservedly nominated. 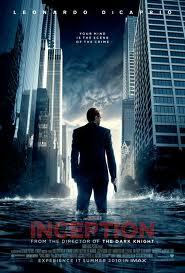 Inception is also a bit over hyped. 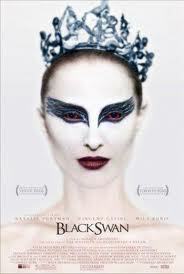 It is a great film and visually arresting, but it has a lot of the same types of problems. There is a great deal of mental gymnastics to support the premise. The concept is very creative, but the emotional baggage that Leonardo DiCaprio is supposed to be going through is not really involving. It feels like it is being fit into the puzzle, not to be the focus of the story, but to manipulate us with another mystery that will provide some emotional payoff. I thought the movie made more sense last summer when I first saw it. It was smoother and well oiled, this second time was clunky and more obvious. I did appreciate the Roles that Ellen Page and Joseph Gordon-Levitt played. They seemed more a part of the story when you are not trying to figure out how everything ends up being connected. The music is solid so along with the Special Effects, that is one place where the movie will be rewarded this evening. 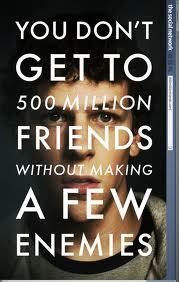 The Social Network is one of those Zeitgeist films that comes along every few years. The Graduate and Fatal Attraction were examples of those films that seem to catch the tenor of the times. This movie is what people who make films seriously, would like the movie making experience to be about. It discusses the events that are changing our world in an interesting way and it tells a fascinating story. The script is written by one of the smart guys when it comes to language and changes enough of the real story to make it interesting and have an arc to follow, but retains enough of the truth to titilate us with behind the scenes gossip. It was trending as the likely winner at one point but now it will likely be an also ran. 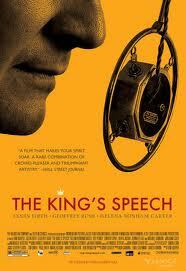 The movie that capped off the day was my favorite of the ten films nominated, “The King’s Speech”. This is a wonderfully realized piece of historical drama that features three terrific performances. Colin Firth will be collecting the award for Best Actor for his role as Prince Albert, the second son, who becomes King George after his brother abdicates. He is crippled with a speech impediment that limits his ability to move through the intricacies of pre-war politics. The friendship he develops with the therapist that tries to help him is complicated by the therapists unorthodox approach to therapy and the status differences between them. It is a document of real events told in a dramatic way. The accession of George VI to the throne on the cusp of World War II is well known, but told from a dramatically different point of view here. The story works because of the times and the characters. People sometimes dislike Tea on the Lawn English movies, I understand this but they are focusing on the wrong issues, these movies are often about human nobility, dignity and courage in the face of strong adversity. This movie follows that tradition and meets our hopes about the way we as people want ourselves to be remembered.